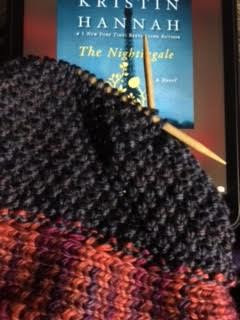 Knitting a test knit called A La Mode Hat and listening to The Nightingale by Kristin Hannah. I read "The Nightingale" this past December and I loved it. Happy reading.